Wash and cut up veggies. Cabbage, carrot and onion should be in long slices. Broccoli should be in bite size pieces. Pour olive oil into large pan. Let pan heat up for a few seconds. Add broccoli, carrot and onion. Heat, stirring occasionally, for 4-5 minutes. Then add cabbage. Cool until all veggies are tender. In the meantime, bring a pot of water to a boil. Add the ramen and cook 2-3 minutes. Strain water and set aside. 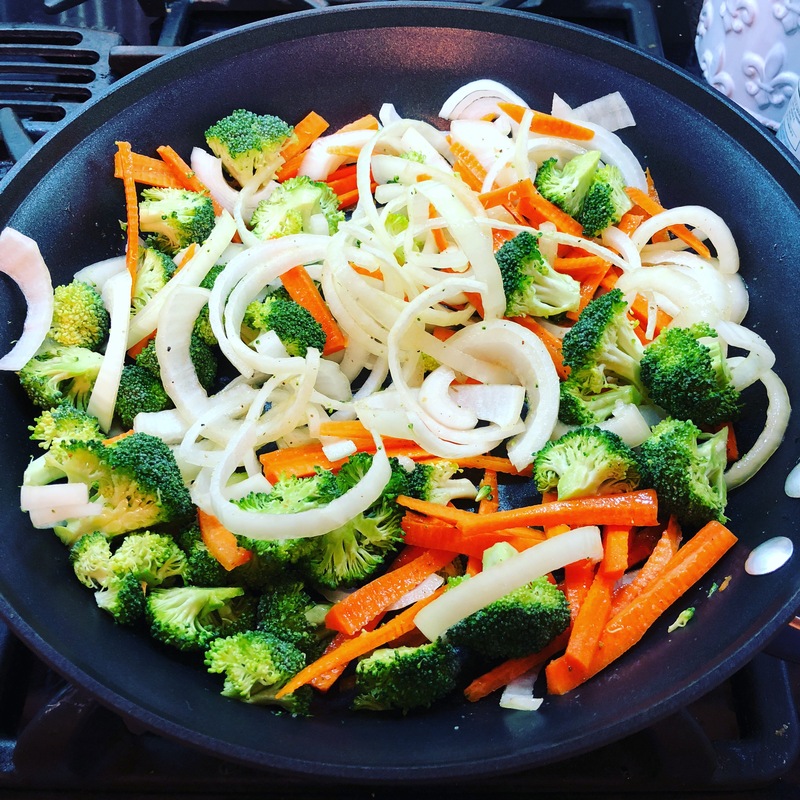 When veggies are tender, add cooked ramen to pan. Combine ingredients. Add soy sauce and Worcestershire sauce and mix.